Usage: Sliding glass door for indoor spaces. Characteristics: Frontal mounting installation. Bears tempered glazing 10mm in thickness. Basic dimensions: Track rail guide width 46mm, height 39mm, curved cross-section. Height of the glass clamping profile 50mm. The SL4650 system is designed to clamp onto glass-boards to form a sliding door. The track rail dimensions are 46x39mm in size and is frontally mounted onto the wall. The glass-board is held by an aluminum profile of 50mm (in height) and 32mm (in width). The glazing’s thickness is 10mm. The resulting door can be either single or double winged. The SL4650 can be used for the creation of glass doors in indoor spaces. It is ideal for residences, as well as for offices, and offers a distinctive style where it is installed. 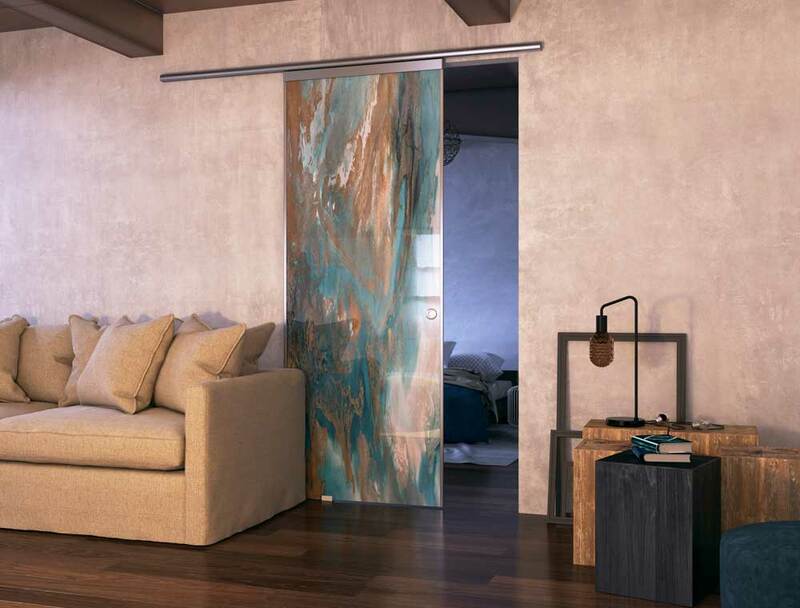 Contemporary design: The glass sliding door offers a distinctive, contemporary aesthetic where it is installed.